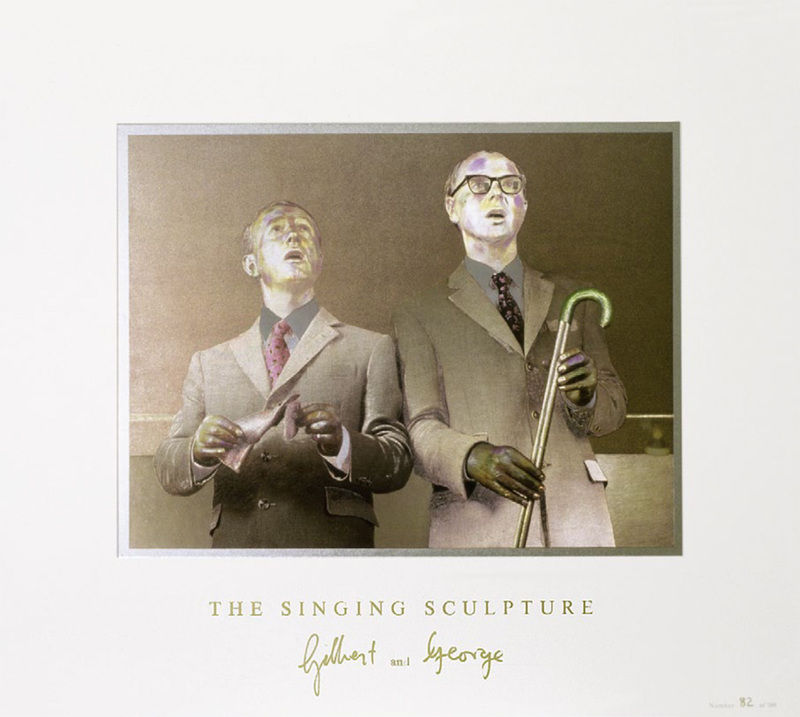 Gilbert, born 1943 in the Dolomites (Italy) and George, born 1942 in Totness (Great Britain), both live and work in London. 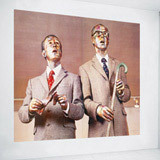 Upon graduation from art school in the late 60s, Gilbert & George developed their own concept of sculpture, when they founded their double existence, and began to present themselves as "Living Sculptures". 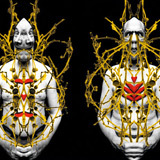 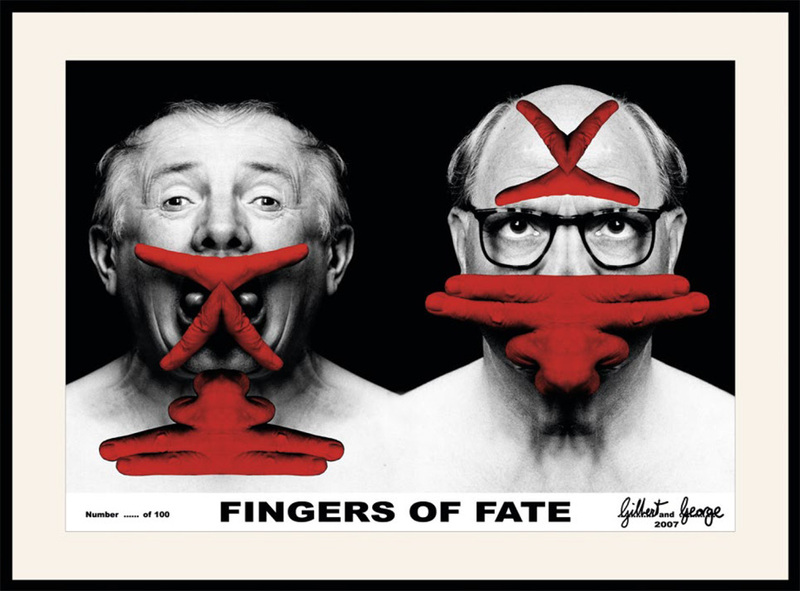 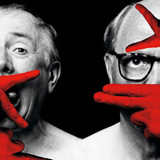 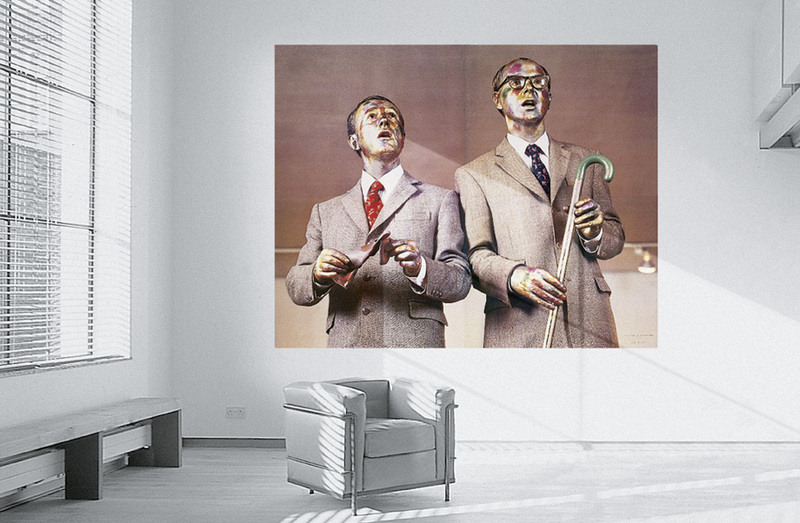 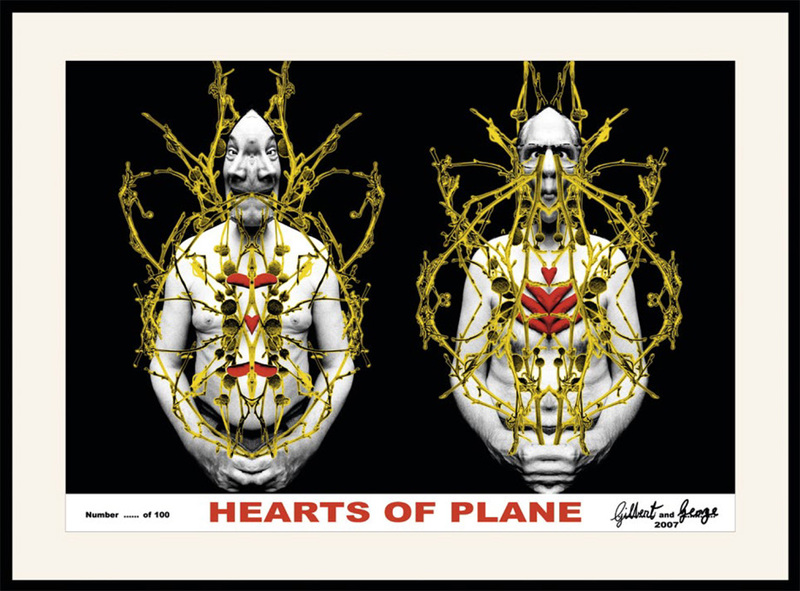 Gilbert & George consider themselves warriors fighting for a total expression. 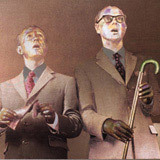 They want to engage the full range of human experience, intellectual and physical, even the most dramatic, the most banal, the most shunned by social custom. 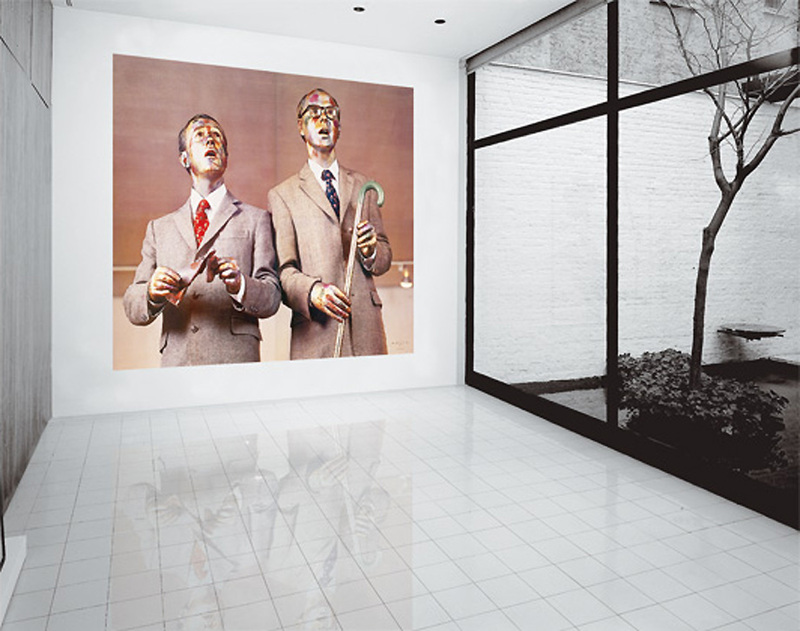 Their daily struggle for artistic action becomes a metaphor for man´s incessant, desperate activity.